This has to be among the top three favourite things to do with my children: they LOVE it. 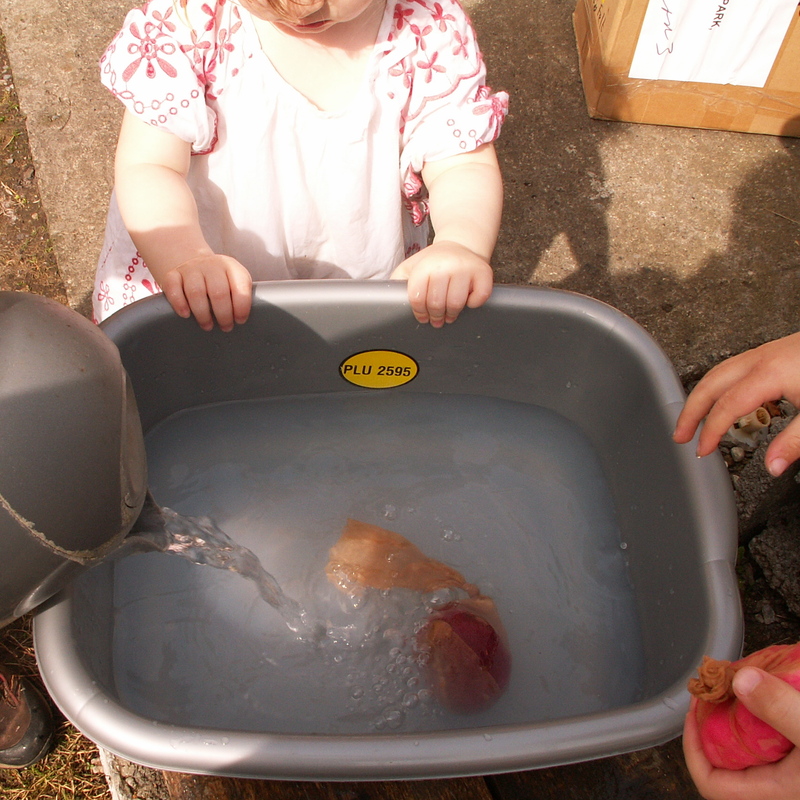 Everyone can get involved, get wet and sudsy and very clean in the process! Even our smallest has her hands in the basin. They take ten or fifteen minutes to make, and at the end, each child has a unique, beautiful and useful thing in their hands. These make really super presents and are incredibly economical and much less messy to use than conventional bars of soap or liquid soap. 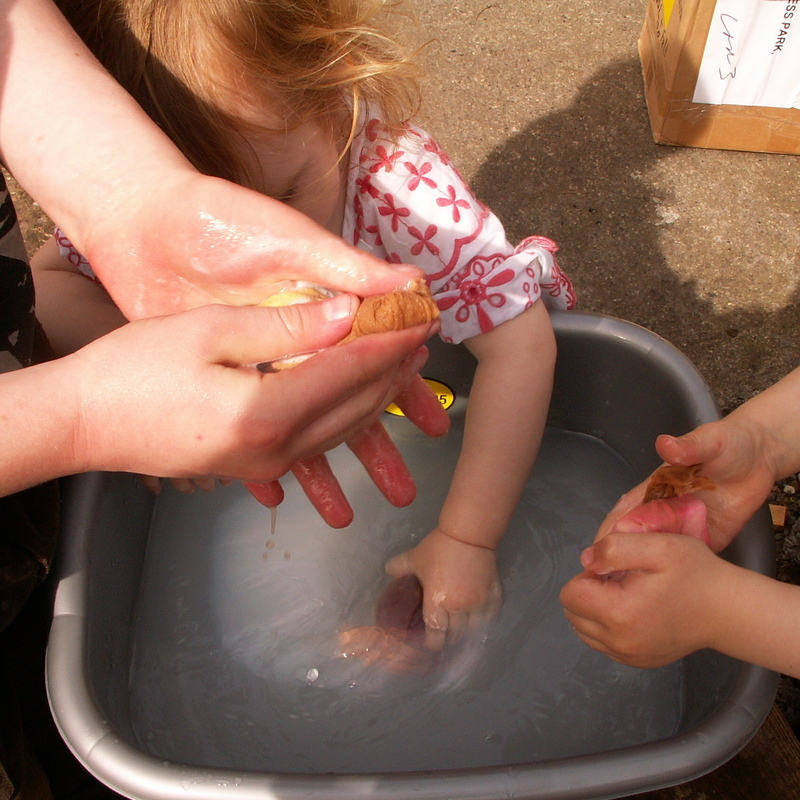 We have been making soaps to store away for Christmas presents- but more on that nearer the time! 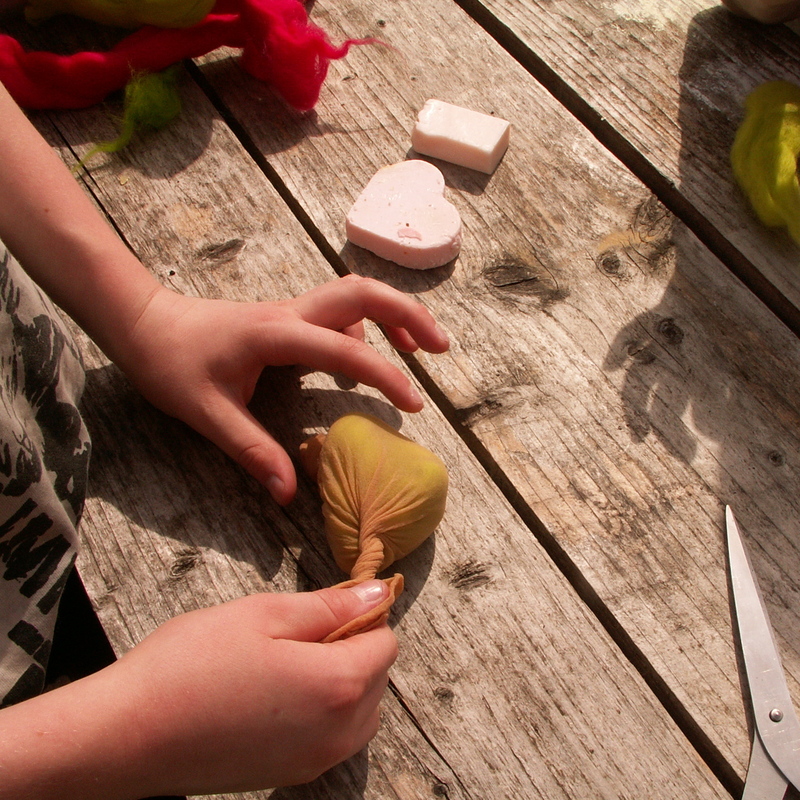 This craft is simplicity itself and teaches so much about felt-making in the process. 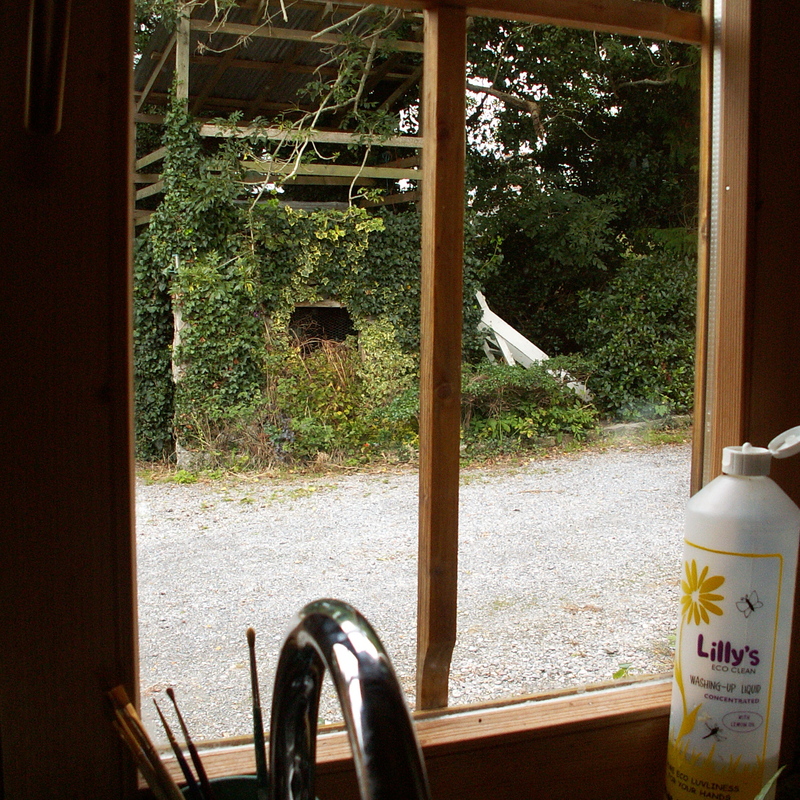 It can even be done in the bath- in fact, why waste all that hot water and soap in the sink or a basin? 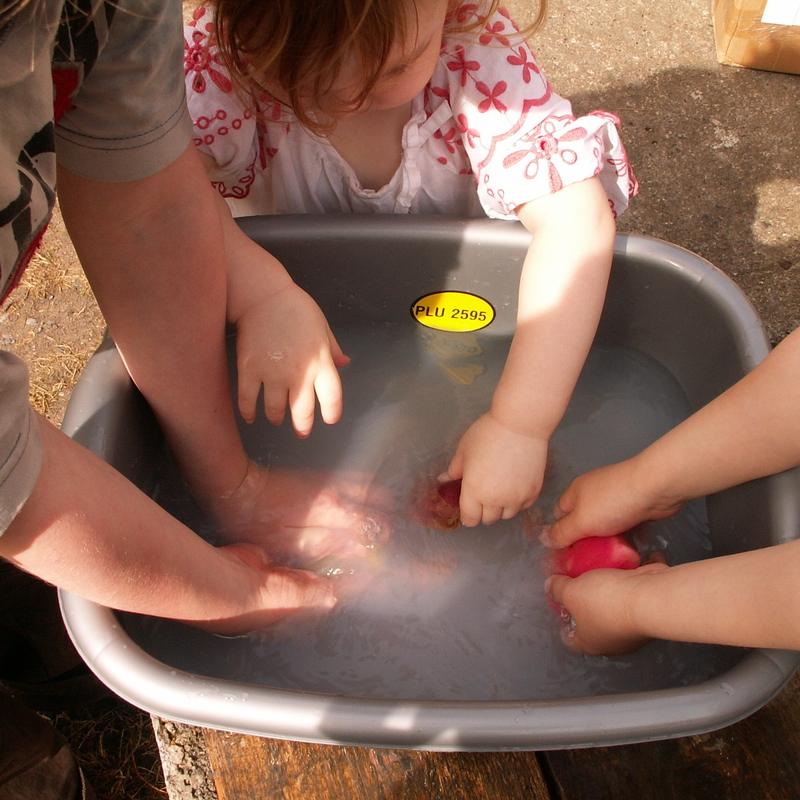 (we keep topping it up with water from the kettle especially when outside and the water cools quickly) Every so often we wash in cold water and back into the hot. 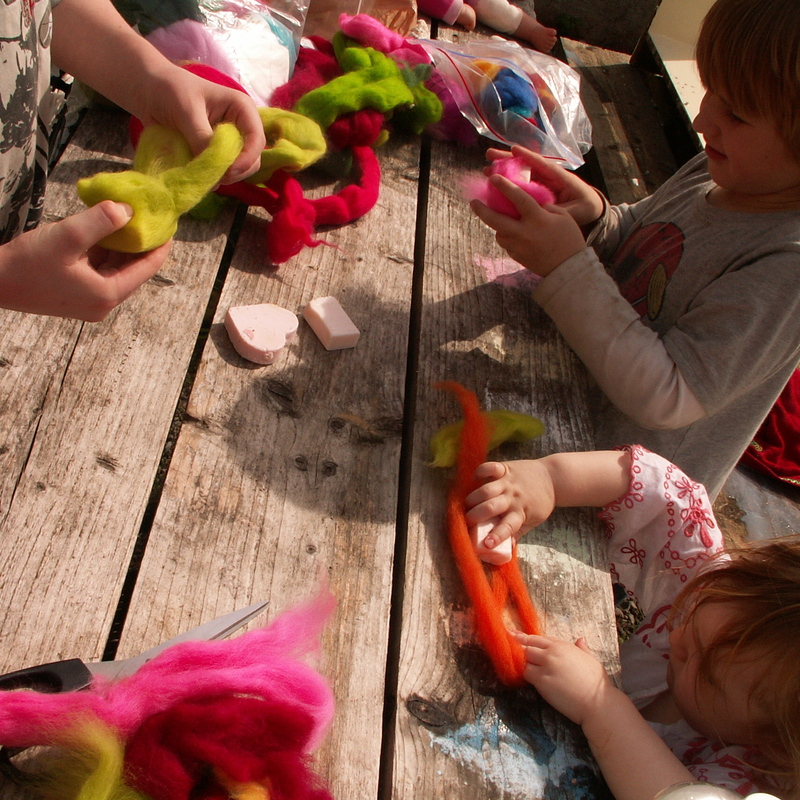 Felt is created when the fleece fibres are “shocked” from the hot and cold water, combined with soapy suds, and they shrink together and form felt. 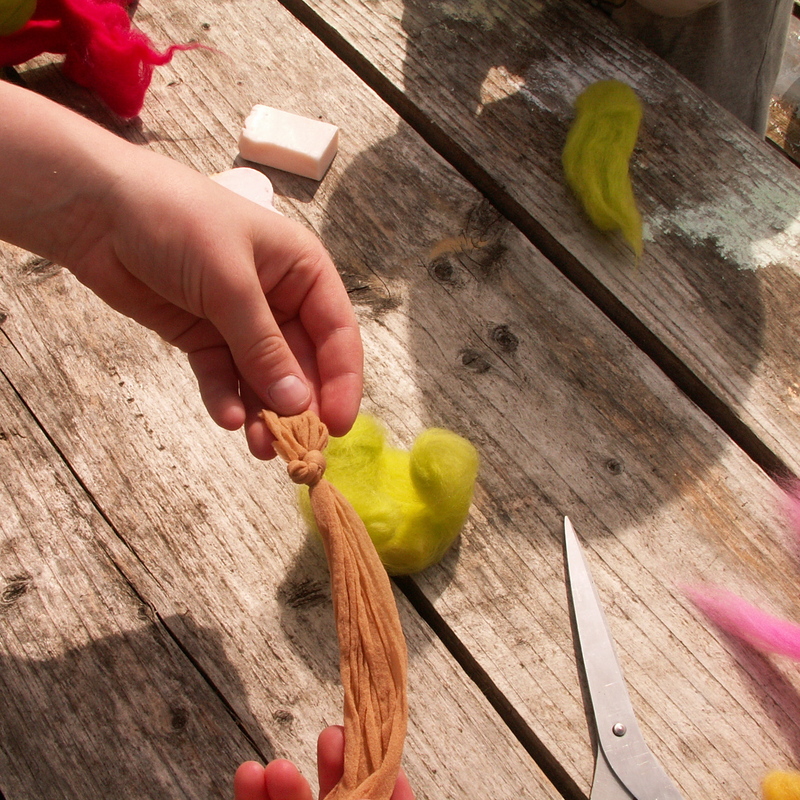 While we were at it, we decided to make felt balls to hang up for the kittens to play with. 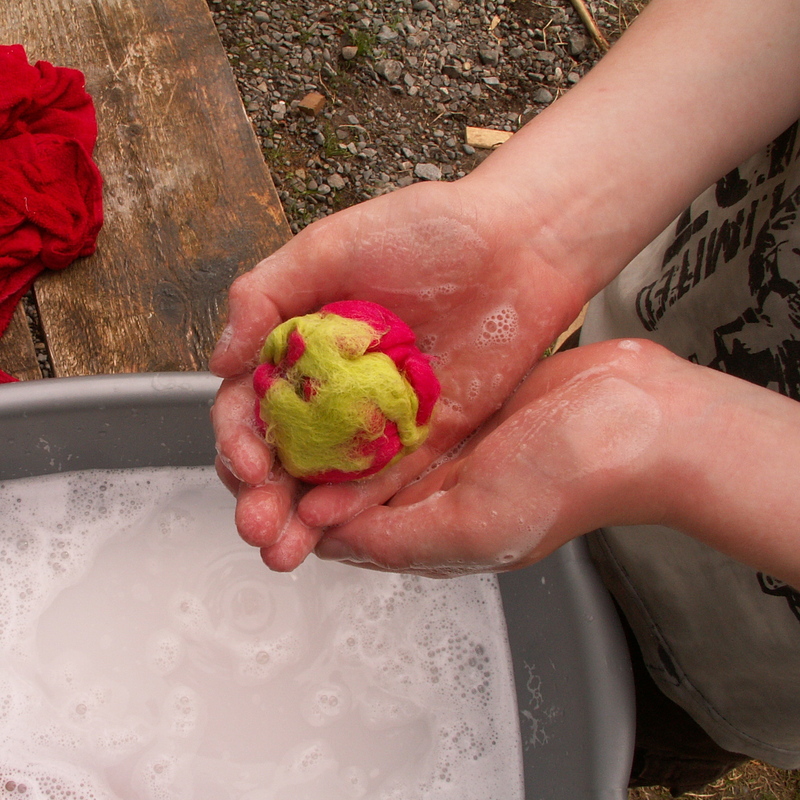 we rolled a ball of fleece back and forward between our palms. 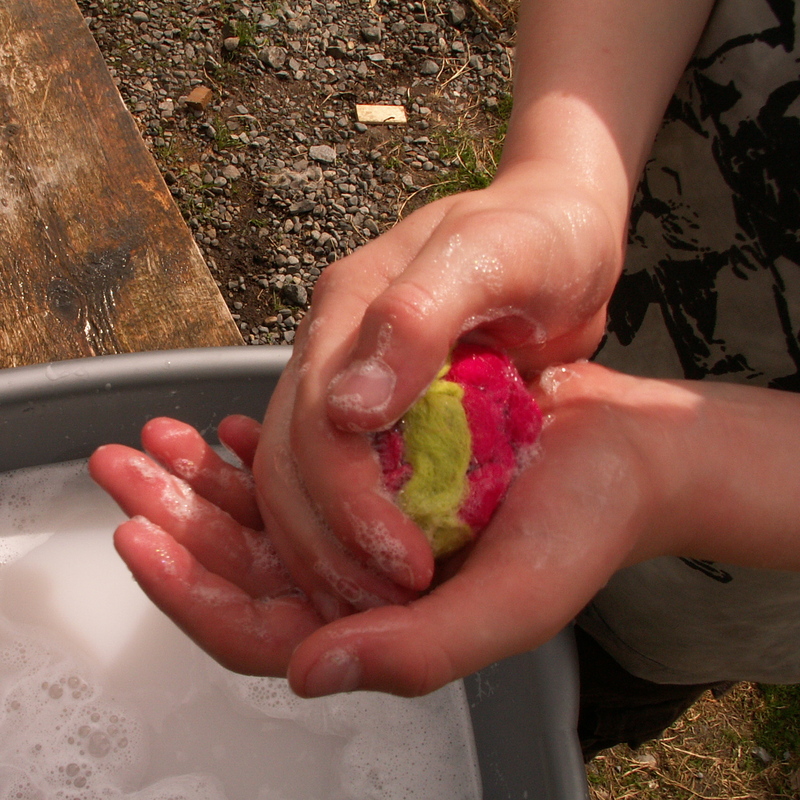 We added a bit more soap to it and kept rolling between our palm until it had shrunk and was a firm tight ball of fleece. 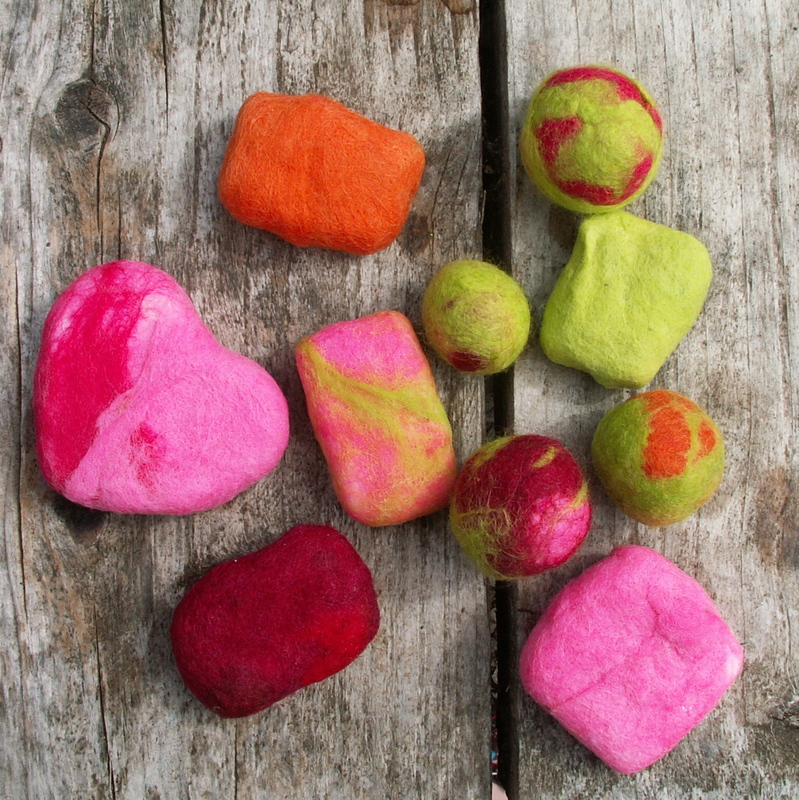 These are our soaps and felted balls, aren’t they gorgeous? 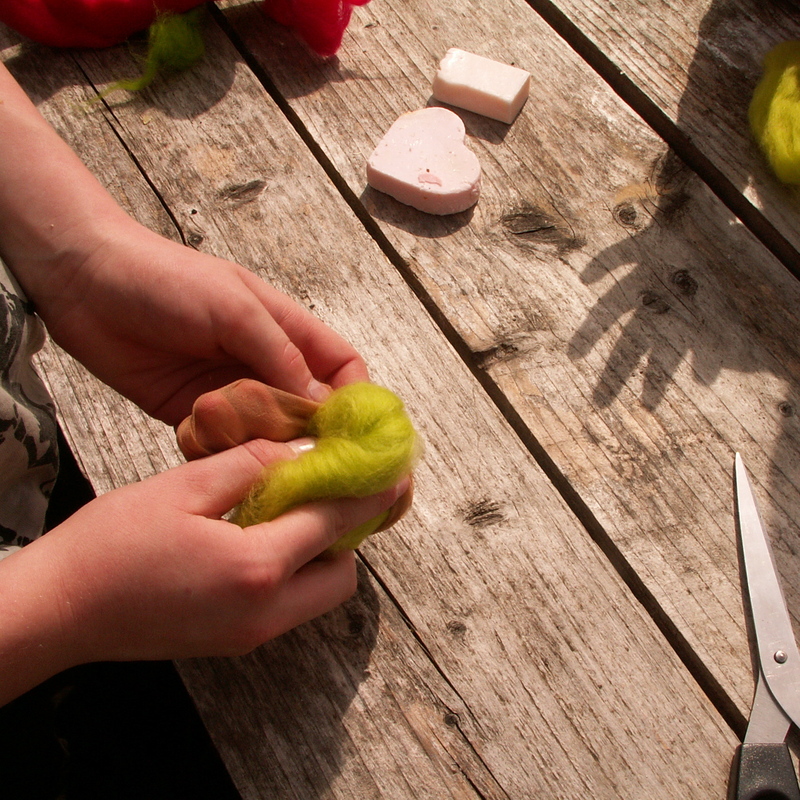 15 Responses to "Simple Felted Soap Tutorial"
this is such a nice idea to do with kids! i have a few nephews and nieces who would be so excited to try this! thank you for the idea and all of the step by step pics! Hiya Emily! I linked to your webpage/blog from Erin Fishers blog. Our family are HEN members who live in County Wexford! 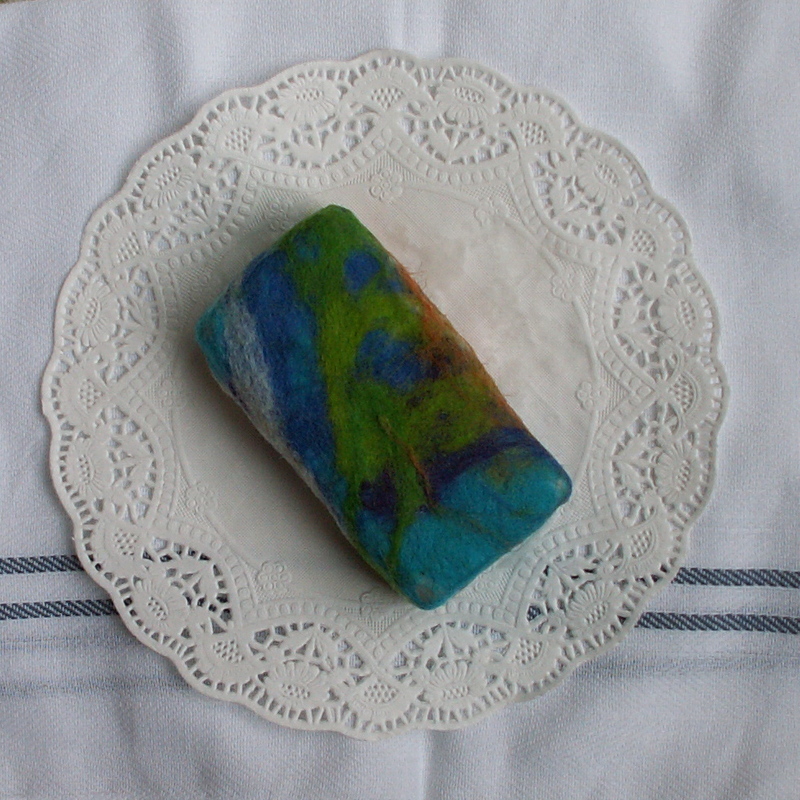 I love your felted soaps they are so pretty! Especially love the creamy coloured one with what looks like rosebuds and leaves on! 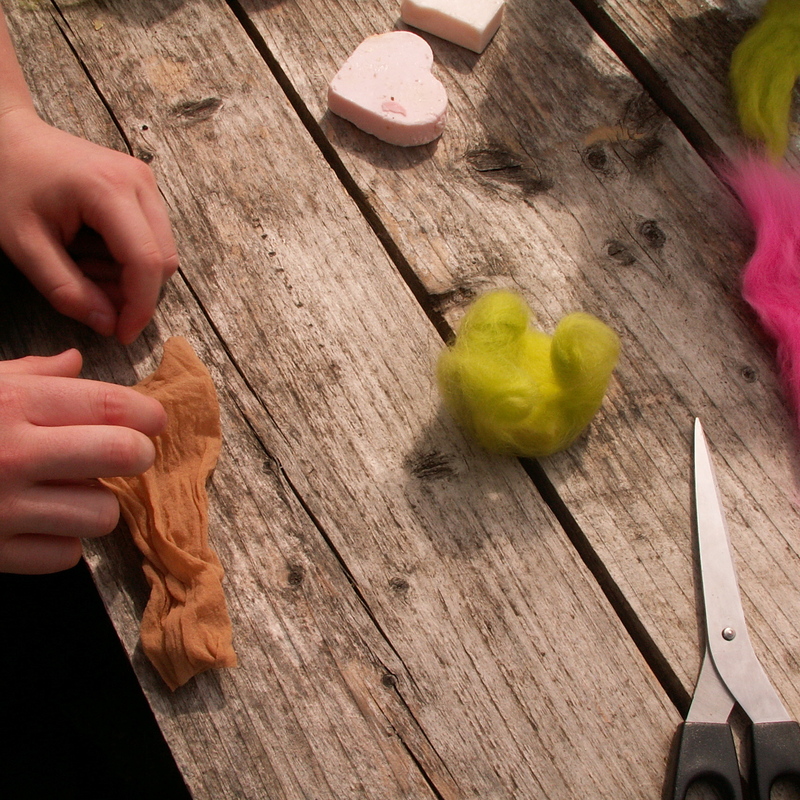 We gave wet felting a go a little while back…haven’t really done an awful lot since…though we do needle-felt quite a bit. Great to see you have a shop space on Etsy…I love it, we get our wool for drop spinning there as well as our wool roving for needle felting! Wishing you the very best of luck with your endeavours! they are all so so pretty and cheerful. Looks like they were fun to make too. 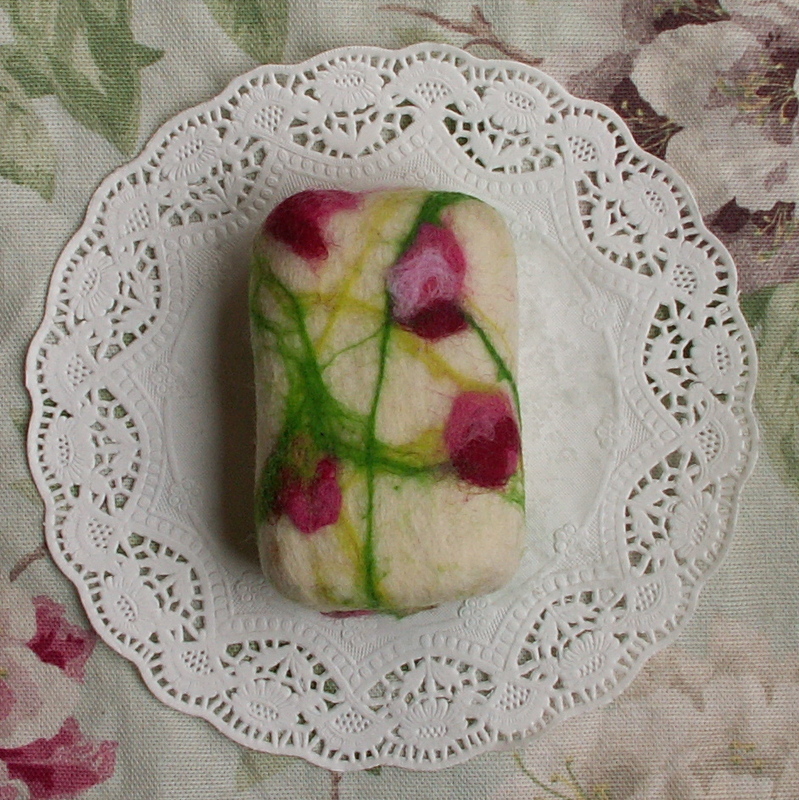 Found your lovely site through Teawagon Tales 🙂 I love your felted soaps! Ironically I saw felted soaps for the first time yesterday while reading a farming magazine article on alpacas. 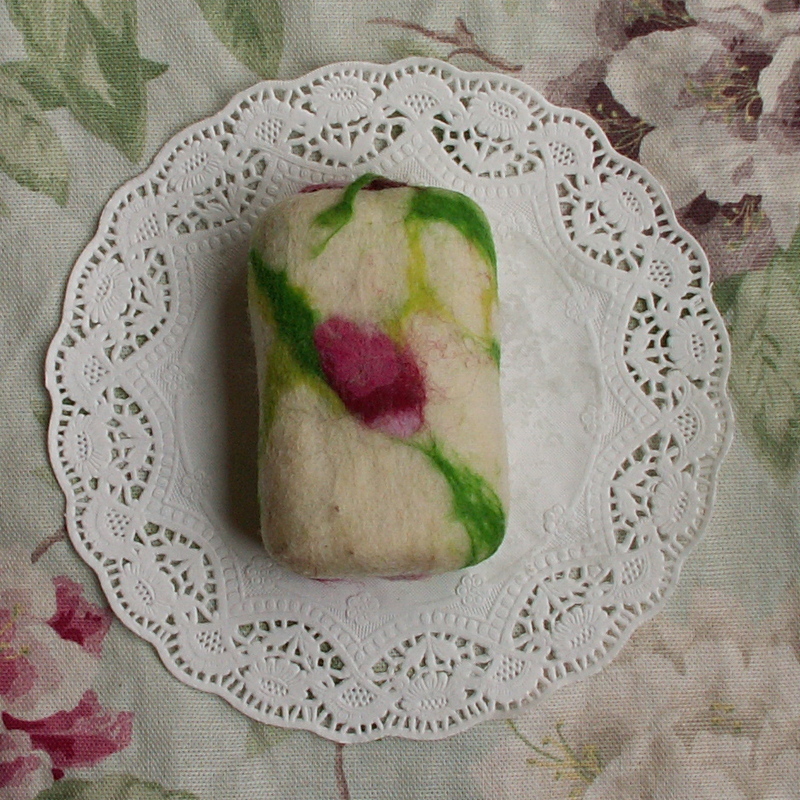 The owner dry felted soap using her alpaca fleece in natural colors and her needle felting kit! I’m seeing this as a sign I’m to try this activity with my son! Thanks for sharing! wow wow wee!! How cool do they look! Well done, great job. Love the colours and your photos are brill. It’s great to see the little hands helping out! 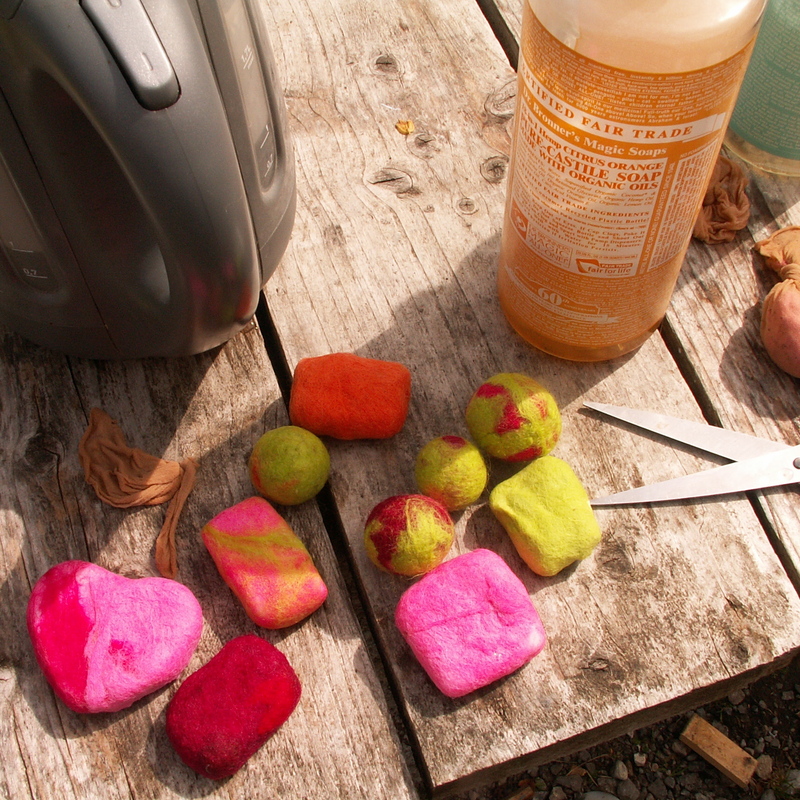 Those are really cute – I thought felted soaps were just for decoration – I had no idea they’re actually usable! It looks like everyone had a great time making them, lol! I really want to make these w/the boys as Xmas gifts for people. How time consuming is it? Thank you for posting the exact steps needed to make it. It’s hard to find inexpensive soaps, near me, that aren’t full of junk. 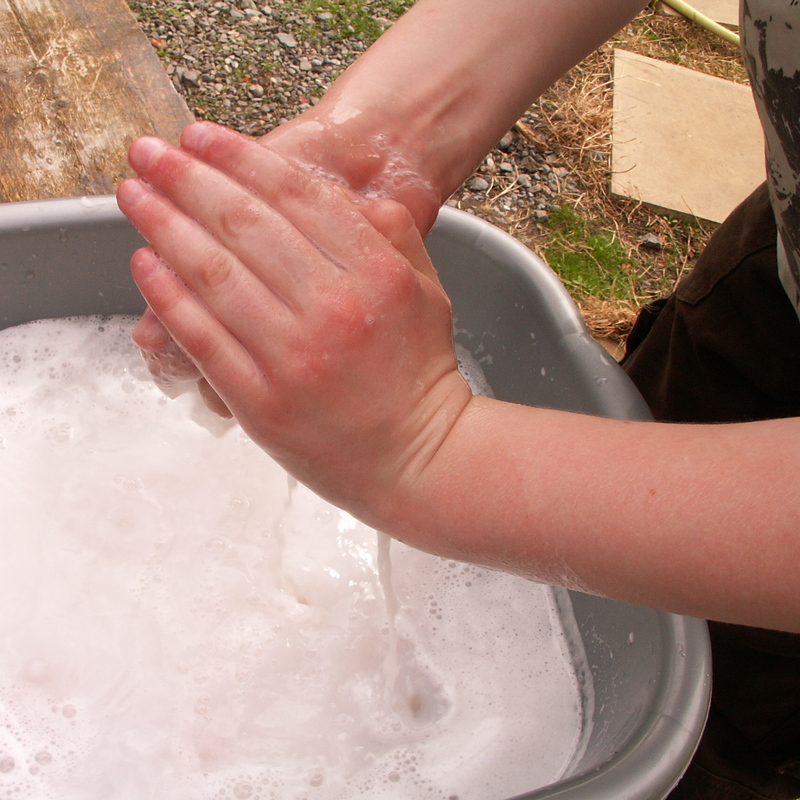 I saw liquid Castile soap in one of the pics. Could I use that? I can get that at our local health food shop. How were you able to make it look like rosebuds? Thank you so much. You also sell these, right? I did, not now: I wrote that post eight years ago 🙂 But now you have reminded me, I really must make them again. Good luck if you try these, they are such fun!